Connect up to two USB2-AA-65 cables to extend one USB device up to 130 feet. May not support USB devices that draw 2W or more. USB2-AA-5M and USB2-AA-65: PC and MAC. Regulatory Approvals: CE (USB2-AA-50M), RoHS (all lengths). 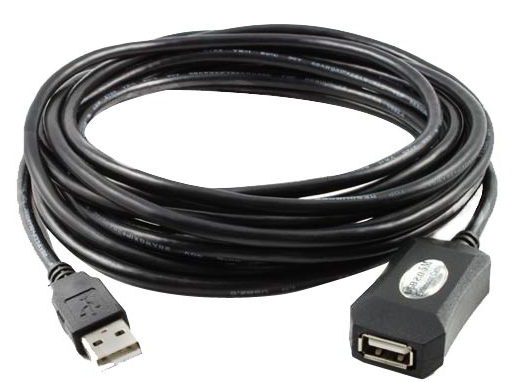 "I was looking for a USB cable to connect a printer that was about 50 feet away, and the USB2-AA-20M cable was perfect for the job!"